I am sure that you’ve heard about clairvoyance a whole lot in psychic commercials and ads. But did you know that anyone can develop clairvoyance? Clairvoyance is an ability that everyone has, it is just a matter of whether or not one is willing to take the steps to develop it. It is like learning a new skill. It can be the same as trying to play the guitar. With practice, you will become very good at it. If you are new to the term clairvoyance, and have never heard of it before, then here is a basic definition for you: Clairvoyance is basically the quick intuitive knowledge of knowing things that are not visible to the eye or have not yet happened. It can be thought of as somewhat of a psychic ability. 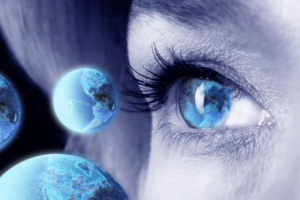 Would you like learn how to develop clairvoyance? In order to develop clairvoyance, you are going to have to first understand that this type of ability will make you a happier and much more peaceful person. When you possess clairvoyant abilities, you are much more creative and think a lot clearer than before. The benefits of being clairvoyant are nothing but positive, the only thing to look out for is absorbing bad energies. Developing clairvoyance makes you more receptive to energy both positive and negative, so you’ll need to be careful about avoiding negative energy from people, places and things. While there’s no way to stay away from these energies entirely, you need to use positive energy to dispel the negative. In fact, developing clairvoyance will make you better prepared to combat negative energies and the influence they can have. Rid yourself of negative possessions. If you have possessions in your home that bring you bad vibes or feelings, then get rid of them. Get everything out of your life that gives off bad or evil vibes to you. It could be the clothes of a dead relative or the hat of an old boyfriend. Whatever it is, as long as it makes you feel negative, you do not need it in your life. Have a bonfire for everything that you do not want in your life and home and allow that to cleanse you of your negativity. Meditation: Make meditation a part of your daily routine. Set aside at least half an hour every day to go somewhere quiet and clear your mind. You can even do this while taking a walk. 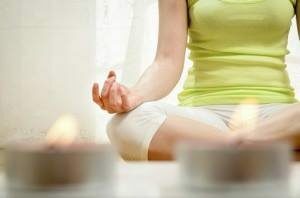 The stresses of our lives cause a lot of stress and distraction; meditation can help us to decompress and think. Meditation is also a powerful stress reliever, so it can help clear all of the worries and irrelevant thoughts which can make it difficult to develop clairvoyance. 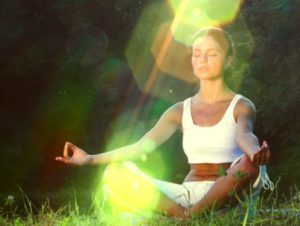 Regular daily meditation will make you feel at peace and facilitate the development of psychic abilities, especially if practiced in conjunction with deep breathing. Learn to trust your feelings and your instincts: When you’re in touch with these aspects of your personality, it will be much easier for you to develop clairvoyance. Let your instincts be your guide. If something feels like the right move, then it more than likely is the next step you need to take on the path to unlocking your psychic talents. You need to fight back against your doubts, especially self-doubt. Work on your self esteem and believe in yourself ” when you trust your abilities and your instincts, clairvoyance will come to you naturally. Let go and let your feelings and instincts take you where they will. Children are often thought to be much more clairvoyant than adults are because of their no-worries and carefree attitudes. When they feel something is not right, they do not hold back, they express those feelings every time. We should all practice letting go of our rigid and negative personality traits and worries and just let go. You will be surprised at where your hunches and feelings will guide you. The important thing to realize is that you already possess clairvoyant and psychic powers. 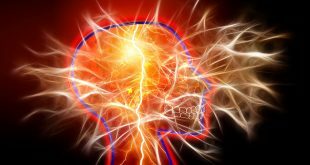 Many scientists believe that many years ago all humans possessed extra sensory powers, but these have for whatever reasons become repressed over the years. But these dormant esp powers can be reactivated with the right training and mindset. There are many things that can assist you to develop clairvoyance; regular affirmations and hypnosis sessions for example. These can be either with a trained therapist or self-hypnosis by listening to clairvoyance development audios. These can help you to communicate with your subconscious mind; once your subconscious mind realizes that it is okay for your dormant clairvoyant powers to be ‘unlocked’ you will soon start to notice a difference. It is also important to make sure that your chakra energy centers are regularly cleansed and balanced. The third eye chakra and crown chakra centers in particular are responsible for our intuitive and psychic powers. It is essential that you maintain the balance of these energy centers if you wish to develop clairvoyance. Any man, woman or child who wants to develop clairvoyance can do so. If you just begin to make the effort, your natural clairvoyance and other psychic abilities will bloom. If you’d like to see the benefits for yourself, all you need to do is start to banish negative energy from your life, cleanse your energy centers and learn to use meditation to relax.